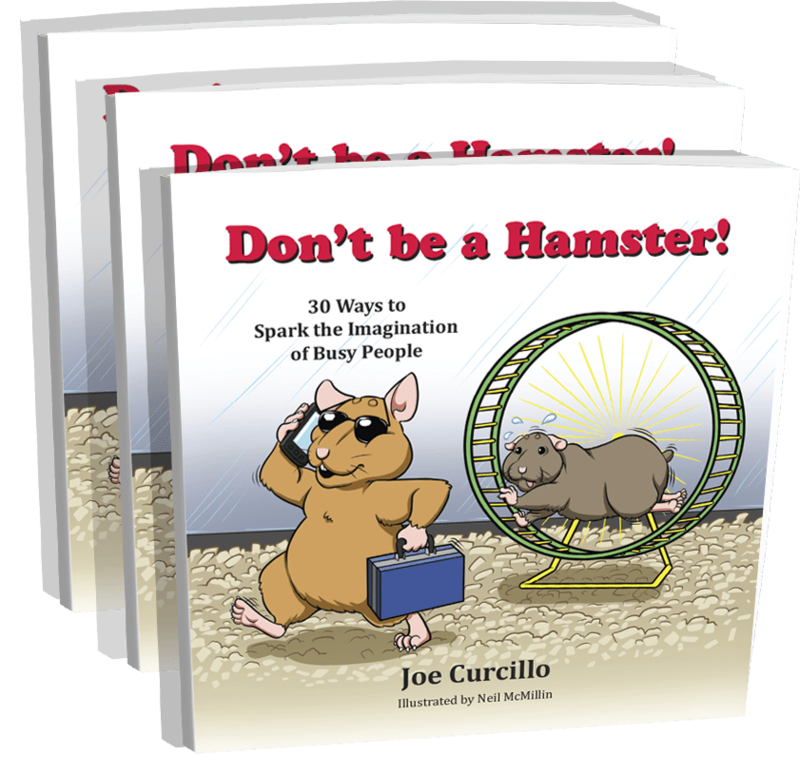 Motivation, Leadership, Communication Speaker: Don't be a Hamster! out of the daily hamster wheel! I need to buy the Book! NOW! OMG! I need to hire Joe! Just take me to a video of “Pearl” the hamster in a wheel! Joe Curcillo shares thirty thrilling ways to put your imagination to work to build a better life for yourself and those around you. With illustrations by Neil McMillin, Don’t be a Hamster! is hilarious, practical, insightful, and profound. Stop spinning your wheel! Pick up Don’t be a Hamster! today and say hello to a brighter tomorrow. Visit our Cafe Press Page for some of our Hamster Wear & Other cool Swag!